« Ring In the Season with Silver Bells in the City 2014! 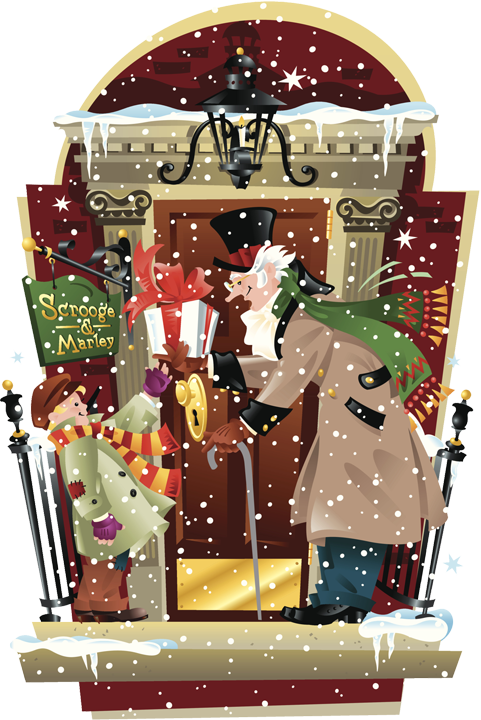 Lansing, Michigan will once again transform downtown into a Dickensian holiday paradise with the 8th annual Old Town Dickens Village, December 6th, noon to 5pm. The Victorian era holiday was replete with men and women bedecked in formal, many-layered clothes, horse-drawn conveyance, streets raucous with the spirit of the season, and the smell of roasted chestnuts, game birds, and baked holiday goods on the air. Now you can visit a semblance of these times in downtown Lansing’s Old Town Dickens Village, an annual event in Lansing’s shopping district along the Grand River Avenue and Turner Street. While Lansing’s Old Town Dickens Village may be short on some of the bleaker aspects of the Victorian era – and hopefully Scrooge will stay home until after all the ghosts have visited – what they do deliver is an old-fashioned Christmas scene in which to shop and get into the spirit of the season. Picture the streets transformed into a festive Victorian scene with horse-drawn carriage rides, cookie decorating, Christmas ornament and card making, carolers, people dolled up in period costumes, live music, and, of course, Santa! Many of the shops and galleries will offer related sweets or specials to those in attendance and there will be activities to distract those not as enamored with shopping (kids and hubbies, I’m primarily looking at you). Lansing’s Old Town Dickens Village festivities get kicked off earlier in the day by the Old Town Scrooge Scramble, a 5k run/walk on the Lansing River Trail between the hours of 10 to noon. Many of the runners appear in costume and this pre-Dickens Fest event is often as much fun for spectators as it is for the participants. The English Inn Restaurant & Pub isn’t located in downtown Lansing but, at less than a half an hour’s drive from there, we may as well be. We feature a full service, fine dining restaurant along with an English pub, plus ten guest rooms with private baths, a queen size bed, cable television, alarm clock, hair dryer, iron and ironing board. Complimentary coffee service arrives at your door each morning and a complimentary, delicious breakfast is served to our Inn’s guests each day. Treat yourself with a stay at The English Inn Restaurant & Pub!